​​Seven citizen members (three farmers, two civic association members, a member with knowledge of roadway engineering and a member with knowledge of rural preservation techniques) serve on the committee, together with a representative appointed by the Planning Board and staff provided by the County Executive. The members review Master Plan designations of the roads, development proposals, public projects such as bridge replacements, and they promote public awareness and knowledge of the roads. Please Plan to Join Us on Sunday, October 22 from 3-5 at BlackRock Center for the Arts to celebrate the David Scott Family! In 1948 Owen Scott bought Oak Ridge Farm in Dickerson Maryland as a place to raise beef cattle and horses... and his family. His son David fell in love with farm life in soon took over managing the place. In the 1960s the herd expanded to 300 head and David started growing hay and row crops. By the mid-1970s beef prices were falling so David sold the herd, tore down all the fences, and changed direction to all row crops and small grain production. This includes corn, wheat, soy beans, and some barley. In May 2002, David Sr. and his wife Judy enrolled 265 acres of the farm in the Montgomery County Agricultural Preservation Program, thus ensuring that the Farm would remain in agriculture for future generations. David Scott Sr. -past member of the Montgomery County Ag Preservation Board serving two terms from 2003-2008. He was chairman of Ag Preservation from 2008 through 2013 serving a total of 10 years. David Scott Jr. -served on Montgomery County Ag Preservation Board for three years from 2007-2010. He is currently a member of the Montgomery County Weed Control Committee. David shares, "I love to farm because each day there is something different to get done. From planting and fertilizing to harvest it's something new each day.My grandfather used to say you only get about 50 chances to grow a crop in your lifetime, make the most of every one!" The Scott family is farming 1500 acres this season. 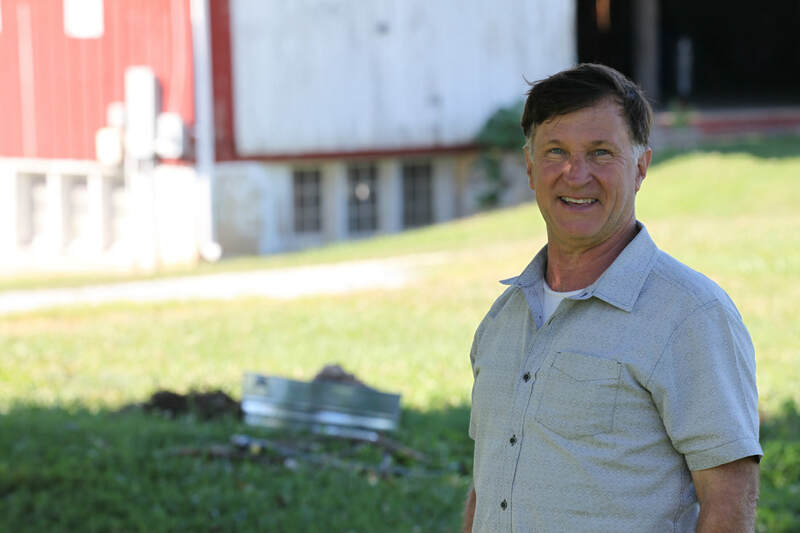 Join us in celebrating the David Scott family and their dedication to farming well and growing here in Montgomery County's Agricultural Reserve. David Scott Jr. is one of the farmers featured in our "Growing Legacy" documentary. Click the video to hear how his combine helped him meet his wife. Anne and Jay Cinque moved to Boyds in the fall of 1973, with their two young sons, Bryn and Cory, who were 3 and 1 at the time. As an early introduction to the importance of becoming active in the community, shortly after their arrival in Boyds, they were notified that Potomac Edison was proposing to run a double pole 230 KV transmission line from Clarksburg, across their backyard, to Beallesville in order to “improve the grid.” This proposal brought Anne and Jay an abrupt introduction to the importance of community-environmental activism! After extensive community involvement and many hearings before the Public Service Commission, the decision was made to create a more environmentally sensitive route. It was clear that the route, as proposed, created unnecessary environmental impact. These community efforts were a success; the proposed route of these transmission lines was ultimately found to be unnecessary, and was never installed. 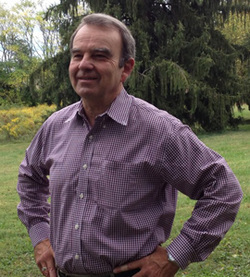 Since that initial involvement, Jay Cinque served as President of the Boyds Civic Association from 1975-1980 during which time the Boyds Community was contesting Rockville Crushed Stone and potential land fill sites. The Boyds Civic Association took an unusual step and drafted its own Master Plan. Painful decisions and sacrifices were made in order to create the Little Seneca Lake and Reservoir and other surrounding developmental projects. Each of these events brought Anne and Jay to countless Park and Planning and County Council hearings throughout the late seventies and early eighties. With the creation of the Agricultural Reserve in 1980 came the increased mandate for local citizens’ groups to work together to evaluate proposals and development that would threaten the very existence of the Agricultural Reserve. From 1983-87 Jay served as President of the Sugarloaf Citizens Association. Anne and Jay continue to serve on the Sugarloaf Board as it struggles to protect the agricultural preserve against such projects as unlawful dump sites, expanded composting site, overnight camp facilities, unwanted golf courses that would threaten ground water, excessive development, and gun ranges on Sugarloaf Mountain, as well as others. 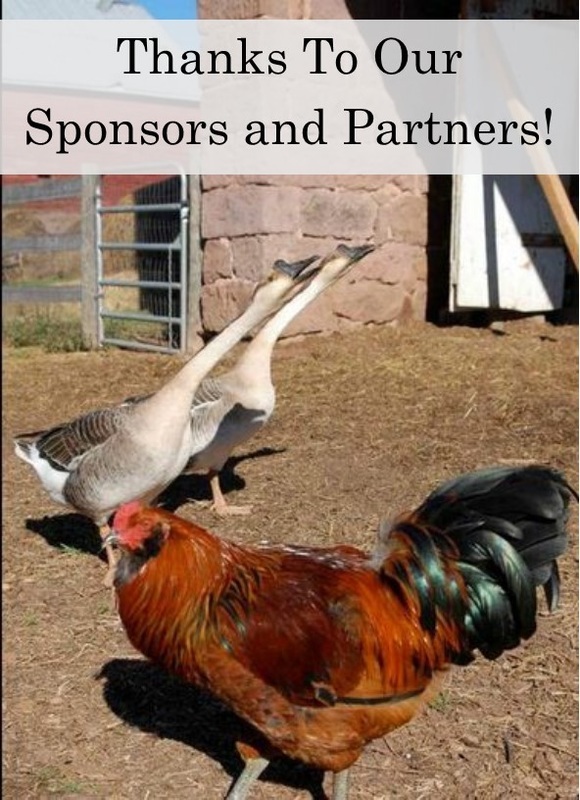 Sugarloaf Citizens’ Association also works for the support and development of agricultural endeavors. On its property on Linden Farm it hosts bee keepers, maintains a bluebird trail and sponsors various local agricultural endeavors. For the past five years Jay has served as the treasurer of the Sugarloaf Land Conservancy (SLC). The SLC has been active in assisting private land owners who want to put their land into conservation. More recently Anne and Jay have been involved in the creation of a new organization, the Friends of Ten Mile Creek and Little Seneca Reservoir, which has recently been successful in minimizing the impact of development along Ten Mile Creek and the Little Seneca Reservoir. Jay is a Scientific Review Administrator at NIH. Anne is a psychologist in private practice with offices in DC and on their property in Boyds. They farm 40 acres of hay, own horses and ride often on the beautiful land they have fought to preserve. Please Plan to Join Us on October 23 at Black Hill Regional Park to Celebrate Anne and Jay! ​Anne’s positive impact is not just felt locally but farther afield – in 1978 she was a founding member of the North American Bluebird Society and continues to monitoring nest box trails, working with local golf courses, and mentoring others in the protection of numerous bird species. For decades, quietly and with acute precision, Bill Roberts advised and guided Reserve civic groups, individuals and municipalities. The list of issues Bill took on is long, ranging from a proposed Outer Beltway to landfills to ill-conceived special exceptions, and, though busy with his private practice, he rarely turned us away. Over the years he gained quite a respected reputation in the County, with staff at the County’s Planning Department often referring to and relying on him as that “brilliant country lawyer from Poolesville.” Brilliant is right. Sadly, Bill left us too soon, having passed away after a courageous battle with cancer earlier this year. Read more of his life well lived: WilliamJRoberts. MCA Board member and long time Ag Reserve resident and activist Dolores Milmoe speaks for many throughout the Reserve and the County when she describes Jim Brown, the 2013 recipient of the Royce Hanson Award. 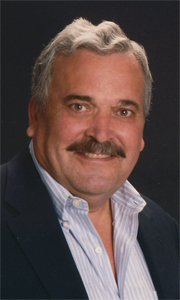 Jim served as president of Sugarloaf Citizens’ Association for 8 years (2001-2008). SCA has been doggedly and successfully protecting the Reserve and the Sugarloaf Mountain Region since 1973. Jim’s tenure as SCA president and continuing advocacy can be described as patient, respectful, intelligent, humble and stoic. Jim is quick to praise and recognize others. Now we rightly recognize his long time leadership in ensuring that the Reserve and the environment are protected. 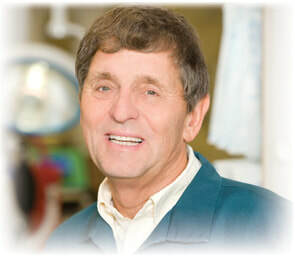 As SCA president, Jim and the volunteers at SCA worked to prevent expansion of the coal fired Dickerson generating plant and forced Mirant to install latest air pollution control technology. His work to ensure that non-agricultural uses such as overnight hotels/lodging and industrial uses be properly restricted succeeded. Pressing for regional education about the Reserve has been a priority for Jim. He serves as president of the Piedmont Environmental Foundation. ​A published author and youngest Administrative aid to a US Congressman (1970 -1976 – James Symington of Missouri), Jim is married to celebrated artist and environmentalist Tina Brown and lives in historic Barnesville. Brown and Associates Government and Public Relations, founded by Jim in 1980, currently represents transit agencies and cities. The Kingsbury family own and run an orchard on Peach Tree Road where they have grown peaches and nectarines for four generations. Not only have the Kingsburys provided fresh fruit to residents around the county for years, but they also offer a warm, personal connection to our rural heritage. Gene Kingsbury is a dedicated 5th generation farmer. In 2007, Kingsbury Orchard celebrated its 100-year-anniversary. The family has further demonstrated their commitment to land preservation by placing easements on their land. George Kephart grew up in Takoma Park. His father was an agronomist with the United States Department of Agriculture and later the World Bank. His grandfather was the writer and cultural historian, Horace Kephart, who was the advocate most responsible for creating the Smokey Mountain National Park. His uncle was George Kephart, the forester with the United State Department of Interior who fought for Native American forestry rights out in Klamath Falls, Oregon. Like his family George wore many important “hats” in his long career of public service including a j-boat skipper, an air & sea rescue helicpoter pilot for the the Coast Guard, business owner, CIA official, and community planner. It was in the last role as a planner that George made his historic contributions to rural preservation in Montgomery County. George served on the Montgomery County Park andPlanning Commission Board for two terms ending in 1979 – 1980. He worked very close with Royce Hanson on some key master plans including the Montgomery County Master Plan for Historic Preservation, and the Preservation of Agriculture & Rural Open Space Master Plan. George was very proud to have cast the tie-breaking vote to approve the Agricultural Plan which created the Montgomery County Agricultural Reserve in 1980. Minnie Pohlmann lives on the Frederick County side of Dickerson up against Sugarloaf Mountain. Minnie has a long record of fighting on behalf of the Agricultural Reserve. She fought against industrialization of Dickerson when the PEPCO generating plant was approved in the 1960′s. Her leadership on land use was described in Tom Horton’s book “Bay County” , published in 1987 which chronicles changes in the lands and waters of the Chesapeake Bay. He titled one of his chapters “All Minny’s Fault”. Minny truly believed that public participation was critical to good environmental policy decisions. Minnny worked on everything from water quality, air quality, agricultural preservation, and conservation, and even starred in a press conference introducing President Bill Clinton’s “Dirty Water Bill” in Rock Creek State Park. Peg Coleman is known not only as a tireless champion for the Agricultural Reserve, but as an author whose books educate and inform us all about early life in Montgomery County. Born in Montana, Peg has been a county resident since 1968; she is the mother of four and the proud grandparent of nine. In 1980, Peg and her husband, Jim, bought a farm on Barnesville Road, which included an abandoned 1768 log cabin. They lovingly restored the cabin, and it is now a National Historic Register site, and the Pleasant Springs Farm Bed and Breakfast. In 1996, Woody founded Red Wiggler Community Farm as a way to create meaningful, fully inclusive jobs for adults with developmental disabilities through the business of growing and selling organic vegetables.The name Red Wiggler came from the concept of the unsung hero- the garden worm- that creates fertile soil where seeds will grow in to healthy plants which will in turn nourish a healthy community. The farm began on 5 acres of land graciously donated from Carolyn Morgan’s 224 acre farm in the Ag Reserve. At that time, Woody lived and worked out of the Morgan’s “remodeled” granary attached to the dairy barn. ​ Red Wiggler ran its operations from that barn until moving the program to Ovid Hazen Wells Park in 2005. The farm started small, feeding 12 CSA members and impacting 6 people with Developmental Disabilities and about 20 youth participants. Many people worked together in those early years as volunteers and modestly paid staff to help the farm grow and realize its mission. Austin (Kip) Kiplinger has had a life-long commitment to preserving open space in Montgomery County. As such, over his 93 plus years, he has endeared himself to a wide range of county citizen groups and causes. He was one of the original supporters of the Montgomery Countryside Alliance and today serves on its Advisory Committee. His family has owned the historic Montevideo Farm in Poolesville which serves as the location for the annual Potomac Hunt steeple chase races. He has been engaged for decades as a community leader in local land conservation, horseback riding, farming and historic preservation. Among its many philanthropic activities, it was a generous grant from the Kiplinger Foundation that made possible the recent refurbishment of the historic Poolesville Town Hall. Read more about Kip Kiplinger. ​For many in Montgomery’s Ag Reserve and its rural villages, Chet is, and will always be, the embodiment of the trusted, warm and caring country vet. His sole interest – making the animals better, whether lap sized or farm sized, made us better too. For decades he and his trusted practice were the glue that binds in Montgomery’s rural community. Chet lends his time and talent to a number of local civic groups such as Sugarloaf Regional Trails as well as the Sugarloaf Countryside Conservancy. An avid birder, he is the current president of the Purple Martin Society of Frederick and is on a mission to help restore area population of barn owls. He is acutely aware of the need to work together to ensure the strength and health of our rural communities and farms. The good news: thanks to collaborative efforts, new farmers are coming to the Reserve, including the recent addition of a new creamery/dairy operation! Needless to say, Chet will be one busy guy in retirement and will always be the admired country vet. See his vet office farewell here.